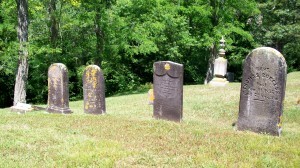 Ancestry: Lemuel Jesse Wing, Rev War; Nathaniel Wing; Ebenezer Wing; Nathaniel Wing, KP War; Stephen Wing; John Wing, Rev. Born: August 30, 1786 in Sandwich Ma. Died: May 2, 1870 in New Bedford Ma. at 82 yrs. Married: December 2, 1804 in Sandwich Ma. 1. 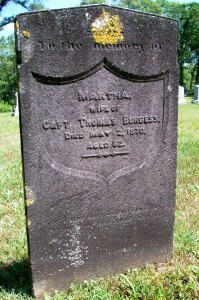 William Burgess; (January 14, 1805 – June 3, 1891); William died in Wisconsin. He married twice & had 7 children. 2. Martha/ Patty Burgess Morse; (December 23, 1806 – September 23, 1882); Married Theodore Morse (Abt.1806 – 1859) (Ansel Morse & Lucy Hall) in int. 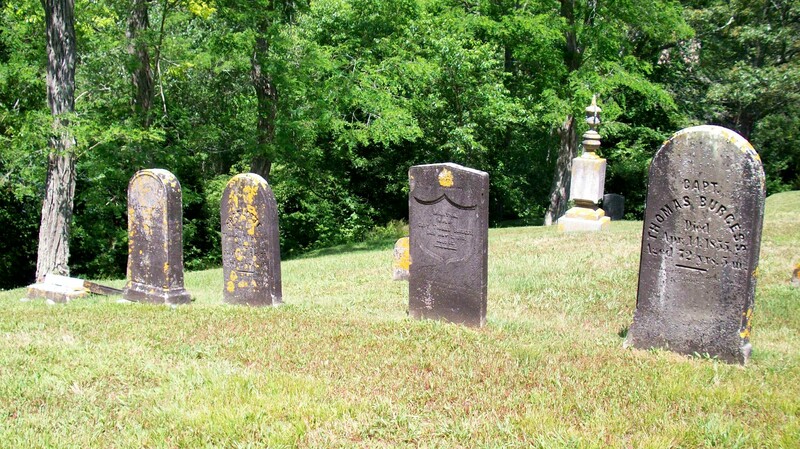 January 5, 1831; Martha/Patty & Theodore are buried in Cataumet Cemetery. 3. Charlotte Burgess; (November 27, 1808 -December 6, 1855); Died at 47 yrs, 8d; Unmarried; Charlotte is buried in Cataumet Cemetery. 4. son Burgess; (? – February 20, 1811); He is buried in Cataumet Cemetery. 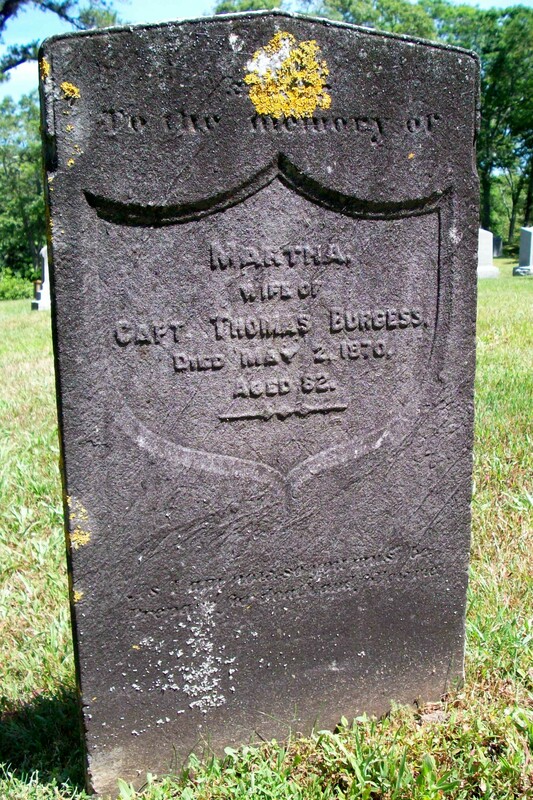 5. daughter Burgess; (Abt.February 1811 – February 17, 1812); Died at 11 mos, 26d; She is buried in Cataumet Cemetery. 6. George Burgess; (February 15, 1815 – ? ); No further information. 7. Keziah Burgess Landers; (February 5, 1821 – August 15, 1901); Married Reuben Landers (1811 – 1896) (Levi Landers & Love Davis) in int. March 18, 1842; They had 3 children; Keziah died in Falmouth Ma. at 80 yrs, 6 mos, 10 d.; Reuben is buried in Friends Burying Ground in Falmouth Ma..
8. Stephen Burgess; (March 5, 1823 – May 13, 1897); Married (1) Adeline T. Chadwick (1828 – 1854) (Micajah Chadwick & Jane G. (–)) in Falmouth Ma. on June 19, 1848 & married (2) Susan (Ellis) Segee in Boston Ma. on July 7, 1856.